That sweet southern culture that flowed through the Appalachian Mountains since the first of the mountain folk set up camp in the Great Smokies still remains strong to this day! 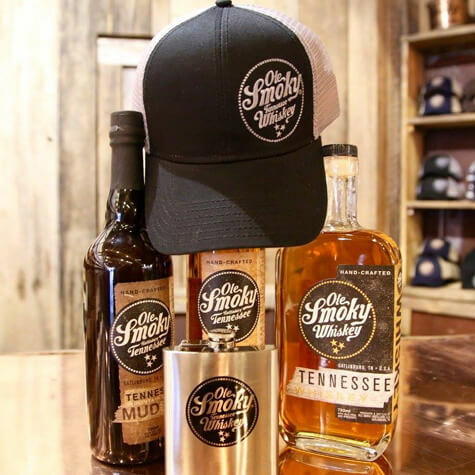 Moonshine distilleries that call Tennessee home are some of the finest in the world and not to be missed. 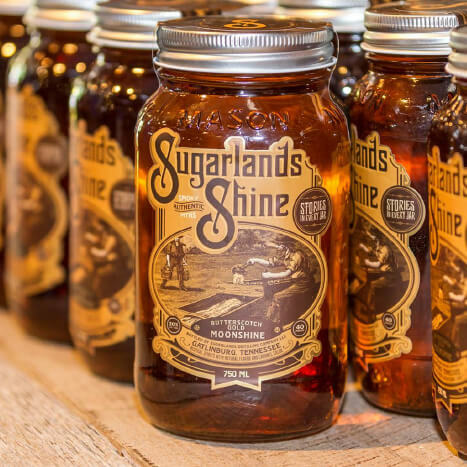 Take a tour through one of the world’s most popular moonshine brands, Ole Smoky Moonshine. 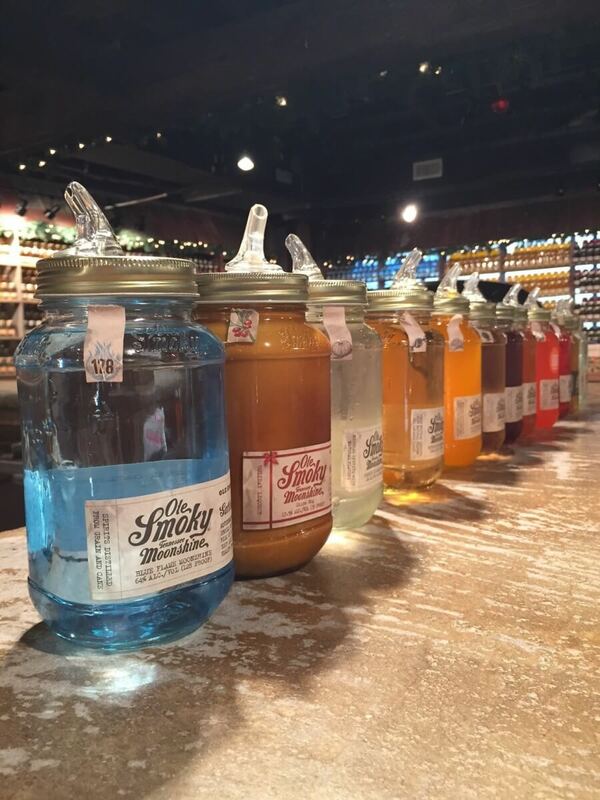 Visit distilleries, or as they like to call them, ‘The Hollers’, in either Gatlinburg or Pigeon Forge and browse through the eclectic variety of flavors and proofs, perfect for souvenir-lovers! From cooking to the fermentation of grains, watch the authentic moonshine process from start to finish. At the end of your tour, treat yourself to a free taste of the homegrown-shine! Or choose from over 8 famous flavors, including seasonal and special flavors, that aren’t sold in package stores; stock up! Visit Doc Collier Moonshine’s old-fashioned country Mercantile store in Gatlinburg and discover the process to some of the absolute finest moonshine in Tennessee! Browse through authentic equipment from back in the day that William “Doc” Collier and his family used for generations of mountain-made moonshine. Purchase from a selection of handpicked favorites to remember your visit to the culture rich city of Gatlinburg, Tennessee! The Ole Smoky Barrelhouse in downtown Gatlinburg is home to the variety of whiskey blends served up by Ole Smoky Whiskey Distillery. Each blend is hand-picked after four years of being aged in white oak barrels. Don’t hesitate when it comes to taking home your favorites as most of the whiskeys available can only be purchased from the Barrelhouse. 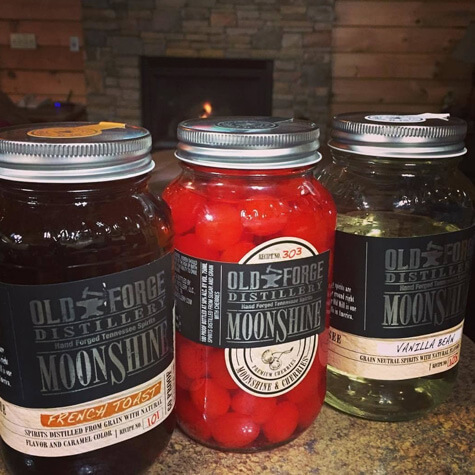 Old Forge Distillery in Pigeon Forge, TN, is home to more than just moonshine! They offer handcrafted spirits like bourbon, rum, vodka, and a killer cream liqueur. The grains used in in the distilling process are stone-ground using some of the old-fashioned methods performed by the original settlers to the Smoky Mountains.